No more excuses, sort out your IT management basics! I am fed up. This is a bit of a rant, but with good reason: companies and services that I and all of us pay good money for are not being managed properly. I say: Enough, no more excuses. Now this really is basic stuff. Let’s ignore the detail of the attacks, almost none are using zero-days. That means no excuses. It just indicates lax systems management. Irresponsible, lazy, incompetent, poor resource allocation. IT departments – I blame you. Though it’s usually the managers: they hold the responsibility, and thus it is only fair to hold them accountable. And that is extremely worrying considering the human, financial and technical resources they already have at their disposal. Let’s look at those three common issues in more detail. My solutions to these issues will be addressed in future posts. By this I am including the software that runs inside your hardware. Everything connected to your network runs software. Firewalls, printers, switches, display screens, HVAC, WiFi access points, all that BYOD stuff you got pressured into allowing because “everyone’s doing it”, storage systems, remote access controllers, your new fancy and eye-wateringly expensive security monitoring system. So none of this “oh but it’s an appliance so I don’t need to update it”. Oh yes you do, it’s probably running some version of Linux with a web interface (that’s now) full of holes. “But we bought it before anyone knew about this cyber stuff”. Right, so it’s 20 years old then? Didn’t think so. In any case, you know about it now so update it, replace it, or get it off the network. Add this to your purchasing criteria, otherwise your next “appliance” might become a dangerous attack vector just a few weeks (if you’re unlucky) or months (lucky) after you buy it, and the only safe thing you can do is disconnect it, which tends to make these things pretty useless. And it’ll make you look stupid. “But we didn’t have time to move off Windows XP before Microsoft cut support for it”. Rubbish. You just lack basic planning skills. Microsoft, as with many other software companies, provide support and (importantly) updates for their products based on product lifecycles. These state quite clearly when the different levels of support will end. These dates are announced when the product is first released, and historically were updated as Service Packs were released. Which means that you had many years of notice when the support end date was. Plenty for pretty much any budget or size of rollout. Note that if you’re only just now moving from XP to Windows 7 SP1 – fail – you “only” have until Jan 14th 2020, yes two and a half years, to get off it onto something newer (it was released mid 2009 – it’s currently eight years old, that is a long time in OS years!). Oh, you could pay huge amounts of money for updates beyond the extended support date, but that’s rather adding financial injury to the insult already bestowed on your organisation by their IT management. And it doesn’t magically upgrade you to Windows “latest” – you still have to do that work yourself. Outdated applications also make upgrading to newer OSs difficult or impossible, though there are almost invariably workarounds that range from OK to pretty nasty. A final point to make about using outdated software is that frequently the mechanisms it uses are also outdated. Think old and compromised security protocols, requirements to access sensitive parts of the operating system, reliance on old compromised plugins and libraries, non-existence of modern security features, incompatibility with modern security features. You might have to turn off some of the security in your newer systems because otherwise all you old stuff won’t be able to talk to it! I bet you never get around to turning that on again, either. “If we update it, it might break”. How about this: You don’t update it and some hacker/malware will break it for you. And break a whole load of other stuff too, and you won’t have a clue what’s been done to what, where your data’s gone/been sold, when it’ll resurface, or if you’ve even recovered properly. Assuming you do recover at all. You do not want to be doing some crazy cocktail of updates a couple of times a year because that’s asking for trouble too. If your business units can’t tolerate a few minutes of downtime per PC and server once a month either a) they’re lying, or b) you bought the wrong system or designed it wrong. It’s much better to just keep things up to date every month. Which in Windows, is default (i.e. it has to be deliberately disabled). You’ll mostly be fine. In fact you’ll almost certainly be fine. I know, I’ve done this to thousands of PCs, hundreds of servers and applications with tens of thousands of users for many, many years. I am not just “lucky”. And if you’re not fine, well that’s where good update management, recovery procedures, and SLAs with your suppliers come in. And at least you know what you did to break it. But 999 times out of a thousand nothing will break, and you’ll feel smug that you’re not getting hacked by months or years old vulnerabilities. Which makes you look stupid. Nasty, messy, dangerous, expensive. Do not give end users administrator privileges. No excuses. If they need them to run some horrible piece of software – time to update it to a slightly less horrible version (see above) or ditch it for a supplier that can actually write modern code (as opposed to something they’ve been banging away at in Visual Basic (not .NET)). If they want to run iTunes (insert any other non-work-related application here) on their work PC, either get your boss to agree with their boss that the costs involved to package, deploy and update this regularly are worth it (hint: they won’t be), or tell them “no” upfront. Simple. Running as administrator allows almost all security restrictions to be bypassed – even if your users don’t try it you can bet that bit of malware they just clicked on will. Also, do not routinely (ideally ever) use domain administrator accounts on end-user devices. If something has managed to escalate it’s privileges locally, it is extremely easy to steal or impersonate other live credentials – and if those happen to be of a domain administrator then it’s game over. Don’t be lazy admins. And while we’re on the subject, don’t use the same local administrator password on everything, each device should be different and should be changed regularly. This really is basic stuff, and yet we continue to see the reports in the news headlines. The people who should be doing taking care of this need to just actually crack on and do it. GDPR may help, but it’s really just a (very) big stick – if your personal data has been compromised, or a service you require can no longer function, the fact that a bunch of execs might go to prison still doesn’t get your data back or your service up and running again. Not until it’s scared enough of the people responsible to actually do their jobs properly, which sadly will take years. If you work in IT and your department isn’t taking care of the above points, ask your boss why not. Get them to ask their boss why not. If you don’t like the answers (or don’t get any at all), leave before somebody tries to pin the impending disaster on you! I’ll be posting simple methods of not getting caught out by the above points over the next few days so watch/follow/etc. so you don’t miss out. Another little function to add to your PowerShell profile. to open the file in the ISE editor – and it doesn’t just have to be a .ps1 file, it’ll open anything. But if you have a regular PowerShell prompt open, psedit doesn’t work. Until now! It’ll also work if you just type psedit with no filename, and will open a new tab in the editor. I’ve been using this for ages, and have now finally got around to a) blogging it, and b) updating it to use Get-CimInstance. The latter makes it particularly easy to code and thus makes the function very compact due to the way it “nicely” handles the date. It’ll default to the local computer unless you specify -ComputerName when calling it. Personally, I have this in my PowerShell profile, so that it’s always available for use. As you can see, it compares the LastBootUpTime property from the Win32_OperatingSystem CIM object with the current date & time and returns the difference (as an object – so you can do stuff with it like pipe it to Select-Object etc.). I’ll leave it as an exercise for the reader to make it work across time zones (it really won’t take you much effort!). PowerShell remoting works over the WS-Man protocol, which in Windows is implemented via WinRM. By default this uses Kerberos authentication, and in most domain environments everything “just works”. Note that you have to specify credentials, per the example above. 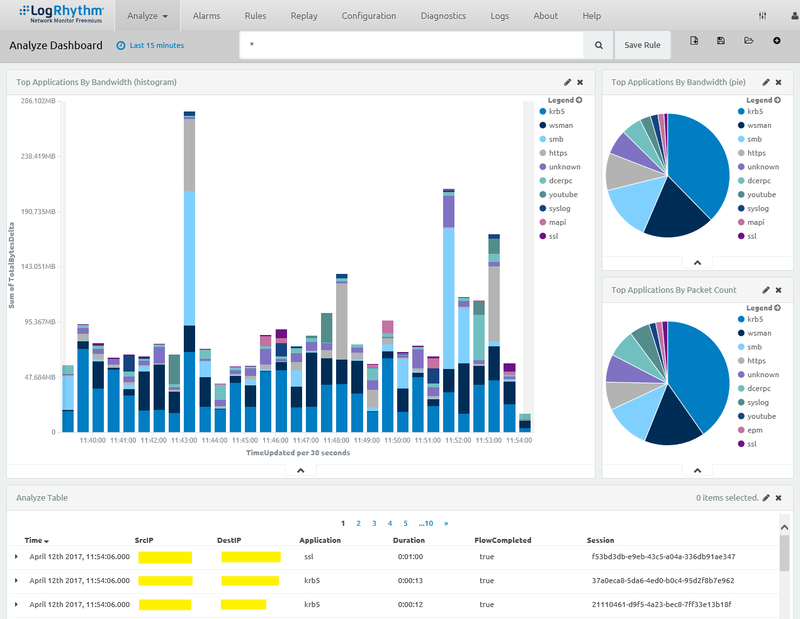 I recently discovered that LogRhythm, as well as very a full-featured Security Intelligence Platform and SIEM, also provide a “freemium” Network Monitor. The “freemium” refers to that fact that the software is 100% free, full-featured and not time-limited, but is capacity-limited. Those limits are 1Gbps of network bandwith and three days of history. Those limits are fine for if you don’t already have anything like this currently running in your network, and depending on what kind of stuff you pump over your network, for the average small office they’ll be fine and give you some great insights into what’s going on. The hardware requirements state that the system should have a minimum of 8GB RAM (12GB recommended), 4 CPU cores (minimum of 2), and unless you just want to monitor traffic from the NetMon box itself you’ll need two NICs. NetMon freemium is available to download either as a VirtualBox VM, or as an ISO image. I chose the ISO option as I had an old Dell PowerEdge 2950 lying around so decided to run the software on that. I tried using Rufus but could not get it to boot properly, so I gave up and burnt the ISO onto a DVD. I’d recommend plugging one of your two NICs into a network with DHCP enabled, and leave the other one disconnected initially. NetMon is based upon CentOS 7, and installation is really straightforward. to see what IP address has been obtained from DHCP – look for the line beginning inet in a section with eth near the beginning, e.g. 2: eth0. If DHCP didn’t work, reboot to get it to try again. Then from a web browser, open https://<ip address> and you’ll get a LogRhythm sign in page. (If you get a pop-up authentication box, just click Cancel on it, I’m not sure why this sometimes appears). The web-based credentials default to a username of admin and a password of changeme. Change the password. Now connect the second NIC to your switch. From the NetMon GUI, go to Configuration – Engine, and set the Input Interface. This should be set to one of the options starting netmap, I only had one: netmap:eno2 so I picked this. 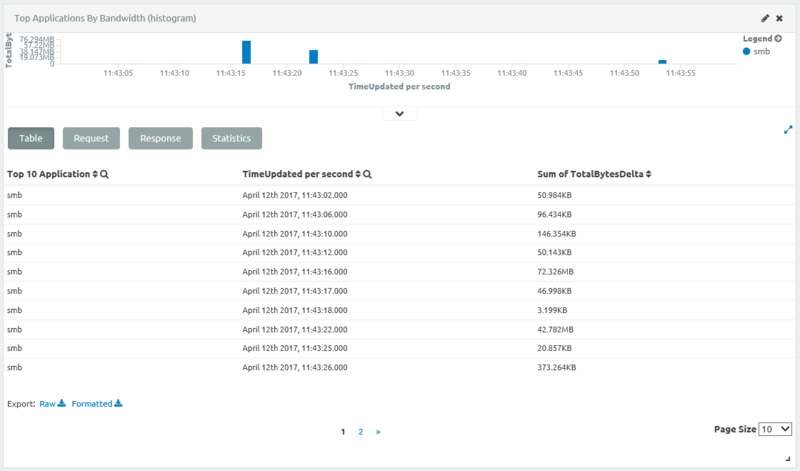 Click Apply Changes then go to Diagnostics – Interface and start to watch the Packet Rate graph, this updates every few seconds so you can see the data start to arrive once you’ve done the network configuration on your switch. At this point I saw the Received line jump up from zero in the Packet Rate graph, so I knew the command had worked and NetMon was receiving data. Click on the date on one of these rows, e.g. the one where 72.326MB was transferred, and it’ll filter again to that time but at 100ms granularity. I now only have one entry in the Analyze Table at the bottom, and can not only see the source and destination IP addresses (sadly it doesn’t convert these into DNS names). By expanding the line in the Analyze Table, I can see lots of info, most interestingly (because this is the SMB protocol) a list of all the filenames accessed. In my case, I can now see that this traffic was caused by a machine doing a full Active Directory Group Policy refresh, which is perfectly normal. I’ve found this product to be pretty good, it’s giving me insight into something that I had no visibility of until now, and I suspect most people would find the same. There are a lot more features that I’ve not looked at yet, such as alarms, customising dashboards, charts and tables. There are some videos showing how to use NetMon on LogRhythm’s YouTube channel, and there’s also a community site you can sign up to for free for more resources and to ask for help. All in all, NetMon Freemium is going to be a nice additional tool for keeping an eye on my systems and data. There’s been a bit of noise about PowerShell-based malware recently, and given the “assume breach” security mindset, I thought it was about time I enabled some of the PowerShell logging features in Windows. The basis behind “assume breach” is that you assume that your network security has already been breached and there are unauthorised things going on in your environment. The trick is to put in place suitable logging and monitoring to be able to detect and trace that activity. The definitive source for PowerShell security config seems to still be the PowerShell (heart) the Blue Team blog post from mid-2015. This gives a lot of good info about what security features are available in PowerShell 5.0 and how to enable them in a sensible way. Most of them can be configured by Group Policy, e.g. transcription is enabled and configured via “Turn on PowerShell Transcription” in Windows Components – Administrative Templates – Windows PowerShell. Based on that, and other things I’d read, PowerShell transcription to a network share seemed like exactly what I should have turned on. It gives you a detailed text log of everything that occurs in a PowerShell session, logged to an off-the-box location. Very handy. So I turned it on. And lots of things broke. The problem seems to be with how I admin my servers (remotely, not on the console) and how the transcription feature works. The root of my problems seem to be Kerberos double-hop authentication. From your PC, remote desktop onto ServerA, access a share on ServerB. No problems. From your PC, run PSExec to get a remote command prompt on ServerA, access a share on ServerB. No problems. Set the logging folder of a service running as NT Authority\System on ServerA to write to a UNC path on ServerB, having granted the account ServerA$ permission to the share and granted NTFS permissions to the folder. No problems. Forwarded Windows Event Logs from ServerA to ServerB, and noticed how details of people interacting with ServerA appeared in Forwarded Events on ServerB. No problems. This will fail with an Access is Denied (PermissionDenied) error. There are various ways to make the double-hop work. As far as I can tell, the best balance of security and ease of use is to use Resource-Based Kerberos Constrained Delegation. but only if you’d tried and failed to use delegated credentials from ServerA in the past 15 minutes. If you’d not tried to do that, the klist command is unecessary. Also, annoyingly, this method will not allow you to enter a remote session from your PC to ServerA and then create a remote session from ServerA to ServerB. Resource-based Kerberos constrained delegation does not support WinRM, you’ll get a 0x8009030e error (a specified logon session does not exist). So if you want all your servers to send their PowerShell transcripts to ServerB, you need to add all your servers to the list of PrincipalsAllowedToDelegateToAccount for ServerB, and keep adding new servers to that list as they are created. Pain in the neck. How I’d like transcription to work is that the transcripts are written by the computer account where the PowerShell is being executed. I would have thought that this was possible, because the computer account is the NT Authority\System account, and that is as powerful and privileged an account as you can get in Windows. That way I would just configure the transcripts file share to have write access for the Domain Computers group, and everything would be well with the world. Ever found yourself looking through the Access Control List of a file/folder/share and mixed in along with the group names (hopefully not user names!) you see some SIDs? These look something like S-1-5-21-0123456789-0123456789-0123456789-0123. These are the Security IDs of deleted groups and users. Wouldn’t it be handy to have a list of these so you could work out what it was that used to have permission, but that’s now been deleted? Yes it would, so I wrote a basic PowerShell script to collect all the SIDs and user names and store them in an XML file. It also has a field for whather the item is a user or a group, and also the date and time the item was added. You can run the script as a regular user, but will need to AD PowerShell cmdlets installed (possibly via RSAT if on a client OS). Add-Member -InputObject $ThisUser -MemberType NoteProperty -Name Type -Value "User"
Add-Member -InputObject $ThisGroup -MemberType NoteProperty -Name Type -Value "Group"
This is a very basic script that’ll give you a progress bar to monitor a mailbox move process. You’ll need to run it from an Exchange Management Shell PowerShell prompt. When BitLocker detects certain changes to the computer it’ll trigger Recovery Mode, and prompt for the Recovery Password. Likewise, you also need the recovery password if you need to access the encrypted disk from another machine or via Windows Recovery Environment (Windows RE). If you need to provide your users with their BitLocker recovery password, you might want to change it afterwards. It allows them to get into the disk via alternative methods and thus bypass NTFS security. This is a bad thing. If you have BitLocker set up right, it’ll write any new recovery passwords that it generates to Active Directory. Therefore the script (which you might want to run as a scheduled task, even if only on demand) does not display the new recovery password to screen. You can easily modify it to show the password by removing “-WarningAction SilentlyContinue”. Write-EventLog -LogName Application -Source $LogSource -EntryType Information -EventId 1000 -Message "BitLocker Recovery Password for $MountPoint has been changed"
Write-EventLog -LogName Application -Source $LogSource -EntryType Warning -EventId 1001 -Message "Failed to change Bitlocker Recovery Password for $MountPoint"
This is version 2 – the previous version relied on mapping a new PSDrive directly to \\live.sysinternals.com\tools which made things easy, but that no longer seems to work (or at least not for me, might be my web filtering blocking it).